Average mortgage rates today went straight off a cliff following the Fed announcement yesterday. Small changes in tone can spark great enthusiasm (or fear) in markets. The Fed made it clear that it is not seeing upward pressure on the economy — which makes bond investors happy and causes mortgage rates to fall. There are three important financial releases today. But the Personal Income (predicted: .5 percent increase), Consumer Spending (predicted .3 percent increase), and the Core Inflation Rate (predicted: .3 percent increase) have all been delayed because of the government shutdown. 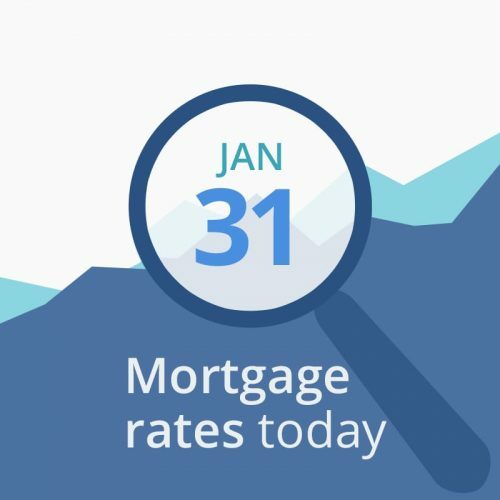 If we get to see these numbers, they can strongly affect mortgage rates. Today’s financial data are completely mixed — good, bad and unchanged — so probably neutral overall. Today. The biggest reports for the week will come tomorrow. If you can get a good rate today and are locking soon, you should probably grab it. Gamblers may be rewarded with lower rates if the reports show economic slowing. But markets are still very unstable as long as all we have is a temporary resolution to the shutdown and no budget. If we get this fixed soon, the resulting economic tear could push rates up fast. But if we don’t, there is every chance of recession and lower rates. That’s why rates have stalled; no one knows which way the wind is blowing. Friday may tell us.